For a while, I've been fantasizing about running away to a Buddhist temple for a month or so to work in exchange for hours of group meditation time, dorming, and food. I'm going to be spending the next 7 months abroad (starting in Spain) traveling with no specific plan in mind. Any ideas on where/how to find a Buddhist Temple w/ this description. I'm familiar w/ wwoof, but no luck thus far. Any other resources if you don't have specifics in mind? 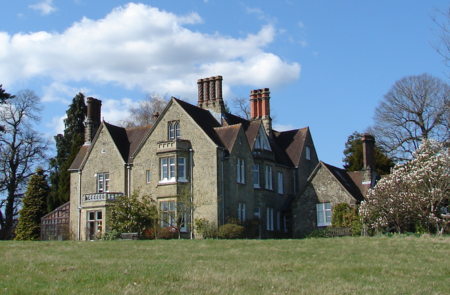 It is situated in West Sussex, England in the hamlet of Chithurst between Midhurst and Petersfield. There are temples in Thailand and other SE Asian destinations who would accept a foreigner who wanted to learn and meditate. You wouldn't "work for food" but rather you will share the temple chores with the rest of the monks, help with alms rounds and eat from the offerings, meditate, basically follow the route of a novice monk. I don't know of any apps or organization that will point you to a temple, you simply have to ask around. Accepting foreigners / non-believers is up to the temple's abbot and you would likely be the only foreigner in residence. Not the answer you're looking for? Browse other questions tagged europe work sleeping north-africa or ask your own question. Is Berlin safe for visit/work?